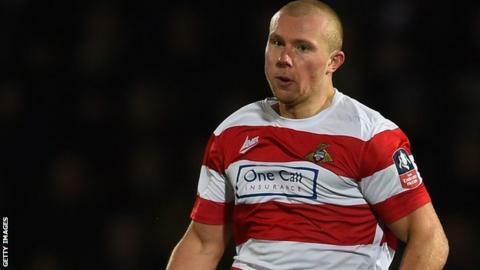 Oldham Athletic have signed Doncaster Rovers striker Curtis Main on loan until the end of the season. Main, 23, scored once in 14 appearances for Rovers this season. He started his career at Darlington before moving to Middlesbrough in June 2011 and joining Doncaster in July 2014. Main could make his debut for the Latics, who are five points adrift of safety in League One, in Tuesday's trip to Blackpool.